Some cities have median incomes way lower than what you need. And it’s true: How much money you need to live comfortably is just much higher in the big city, putting the 50/30/20 rule out of reach for most of its residents. 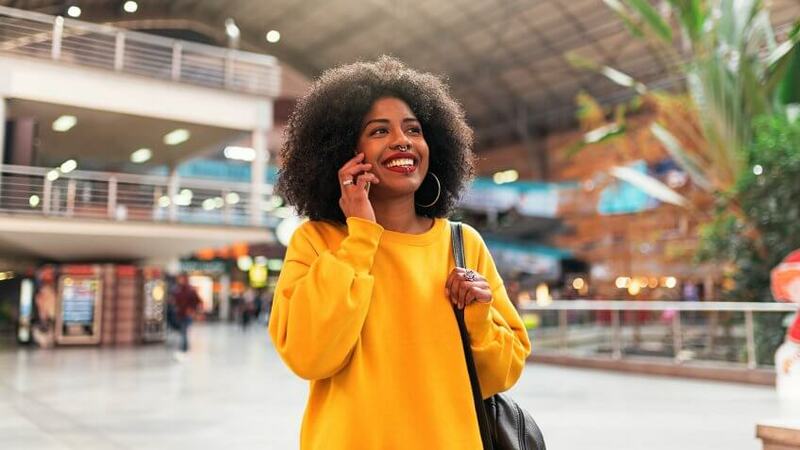 That’s why a new GOBankingRates study lays out just how much you need to earn to live comfortably in each of America’s 50 largest metropolises based on the cost of living by city. Using Zillow to calculate housing costs in each locale and Sperling’s Best Places to estimate the price of other necessities like transportation, groceries and healthcare, the end result is a clear sense of just how much you would need to be bringing in to stick to the 50/30/20 rule at average levels of spending in each category. With the average salary in each major U.S. city falling well short of what’s needed to live comfortably there, the study should make it clear that a lot of America’s urbanites probably have to make cuts elsewhere to afford living in the big city. So if you’re thinking about living in a major city, keep reading to see the ideal salary and cost of living in America’s biggest cities. Albuquerque isn’t going to top any salary comparison by city with the median earner pulling down under $50,000, which is below the average salary in the U.S. But, with “just” $22,753 separating a median earner from the cost to live comfortably in Albuquerque, it’s actually among the more affordable major cities in the country. Arlington residents are likely struggling a little to get by with a little over $25,000 separating a median earner from what they would need as a homeowner in the city. However, the situation is likely significantly harder if you’re renting as the annual cost for necessities is over $4,000 higher when you don’t own. It’s actually cheaper to rent in Atlanta, though by the smallest of margins — under $500 separates the income needed to live comfortably in each situation. That said, the average resident is falling over $35,000 a year short of what they need to fit into the 50/30/20 budget. If you’re not earning six figures, you should reconsider living in the Texas capital based on just how costly it can be. However, if you’re dead set on enjoying the city’s renowned music scene on a nightly basis — part of why it’s often no stranger to lists of the best places to live in the U.S. — you will need about $3,500 less each year when you’re renting rather than owning. Living in Beantown might require an especially talented bean counter to be sure you can pay all your bills. Boston is one of just 13 cities where you’ll need to make at least $100,000 a year to live comfortably whether you’re renting or owning. While needing $80,000 a year to get by is a bit pricey, the healthy $58,202 a year that the median earner in Charlotte is making means residents are likely struggling less than they would elsewhere. Homeowners are about $22,000 short of what they would need, putting them among the cities with the smallest gaps between what most people are earning and what it costs to live there. The Windy City isn’t especially expensive when stacked up against other urban areas that are among the five largest, but its relatively modest median income means many residents are likely still struggling to make ends meet. The median earner in Chi-town is more than $32,000 short of what it costs to live comfortably if they own. As for renters, they’ll need over $42,000 more. No city among the 50 largest is cheaper to live in than Cleveland. Unfortunately for residents, no city has a lower median income, either. The typical Cleveland resident is pulling down just under $28,000 a year, meaning that even the relatively modest $55,000 a year needed for homeowners is well out of reach. And it’s significantly worse for renters, who are around $37,000 below what they need to live comfortably. Whether you’re renting or owning, you can expect to spend a little under $20,000 a year on housing in Colorado Springs. The two are very close, though, with just under $2,000 separating the income needed to live comfortably for renters and owners. Ohio’s capital is one of the more affordable big cities to live in, with the income needed to live comfortably falling under $70,000 for homeowners. It does get significantly more difficult if you’re renting, though, as you’ll need to make over $75,000 a year — over $25,000 more than the city’s median income. The median income below $50,000 a year likely makes the costs of Dallas significantly more difficult to handle than in other cities. Average earners who rent could be particularly squeezed, with their income coming up over $40,000 short. Not only is Denver another of the cities where you need to clear six figures to live comfortably, it’s also one of just seven cities in the study where median income are under $40,000 a year. That leaves the median homeowner and renter $70,029 and $64,245 short of what they need each year, respectively. While incomes in El Paso are relatively low, the income needed to live comfortably is also among the lowest of the nation’s 50 largest cities. With homeowners needing to make less than $65,000 a year — and renters under $70,000 — the gap from a median income to a comfortable one is between $20,000 and $25,000 for both renters and buyers. Residents of Fort Worth have a median income that’s almost exactly $10,000 a year higher than that of neighboring Dallas. That’s especially good news for renters, with the cost of living there coming in at about the same as it does in Dallas. And it’s even better news for homeowners as the cost to live comfortably is about $4,000 a year less in Fort Worth than it is in Dallas despite the higher incomes. Fresno is one of the cities where the income needed to live comfortably falls under $80,000 a year for both renters and owners. And, with just $700 a year separating the two, there might be significantly less reason to agonize over the decision than in other places. Still, with median incomes falling under $45,000 a year, renters and owners alike are about $35,000 short of what they need to live comfortably. At over $80,000, the median income in Honolulu is higher than anywhere outside of the swanky San Francisco Bay Area. But, unfortunately for residents, so is the cost of living. Homeowners with average earnings are going to come up over $100,000 short of what they need to live comfortably. And while renting is significantly less expensive, apartment dwellers are still over $45,000 below what they need. The country’s fourth-largest city also has a significantly pricier rental market than it does buyers’ market. You’ll need to make over $8,000 a year more to live comfortably while renting than you would if you have a mortgage. Either way, though, with median incomes under $50,000, the average Houston resident is coming up well short of that level. The cost of living in the Upper Midwest trends on the lower side and Indianapolis isn’t outside that trend. While it’s still much higher than the median income of $44,709 a year, the income needed to live comfortably while owning a home is just over $65,000 a year — lower than every other city in the study save three. Another one of the cities where the salary needed to live comfortably is under $80,000 for both renters and buyers, Jacksonville could be a relatively affordable way to enjoy both city life and the sunny Florida climate. And with the income needed to live comfortably about $24,000 of the median wage for homeowners, it’s also one where the costs are better aligned with people’s earnings. The gap between the income needed to live comfortably and the $50,136 a year that a median earner makes in Kansas City is among the lowest in this study for both renters and homeowners. The typical homeowner is just $17,511 short what they need to live comfortably while the typical renter is $22,167 below that level. The income needed to live comfortably in Las Vegas is higher than many but still below the average level for the 50 cities included here. But, with a median income of $53,159, homeowners with average earnings are $38,500 short of what they would need to maintain a 50/30/20 budget assuming average costs. Located to the southeast of Los Angeles, Long Beach is another of the baker’s dozen where the income needed to live comfortably exceeds $100,000 for both renters and homeowners. It’s also a city where that level is much lower for renters — with those choosing not to buy needing about $14,000 a year less than their counterparts shouldering a mortgage. The country’s second-largest city is well-known for its sunny climate, palm trees and entertainment industry, but it’s possible that its high cost of living should be among its most notable traits. If you have a mortgage in Los Angeles, you’ll need over $150,000 in income to comfortably fit into the 50/30/20 budget, over $80,000 a year than the median earner makes. Louisville’s relatively modest cost of living helps contribute to incomes needed to live comfortably that are just over $70,000 for both renters and buyers. That means the gap to the median income — at just under $50,000 a year — is only about $20,000 lower than needed in both scenarios. Memphis is another city where residents aren’t making enough to really take advantage of the low cost of living the way one would hope. While you would need less than $70,000 a year to live comfortably there, the median earner in the city is making less than $40,000 a year. The income needed for a comfortable lifestyle in Mesa is almost identical for renters and buyers, with just under $300 a year separating the two. However, that’s more than $33,000 the median earner can afford in both cases. Miami has the unfortunate distinction of being both one of the 13 cities where the income necessary to live comfortably exceeds $100,000 for both renters and buyers and being on of the list of cities where median income is under $40,000 a year. That leaves a huge $70,000-plus gap between what people are making and what they need to earn to live comfortably whether you own your home or rent it. While the cost of living is relatively modest in Milwaukee, so is the median income. With half of the city making $38,289 or less, even that $67,670 a year needed to live comfortably while paying a mortgage is almost $30,000 more than residents are making. That said, with the cost to live comfortably while renting is almost $10,000 a year higher — it could be worse. Minneapolis is a relatively affluent city, particularly when compared to other major urban areas in the Upper Midwest. However, despite a stronger median income, the cost of living is also relatively high. That leaves a median earner in Minneapolis $28,653 short of what they need to live comfortably if they own and $34,557 short if they rent. Music City’s high cost of living means the 50/30/20 budget rule is likely not possible for many to most of its residents. Renters and owners alike are over $31,000 short of what they need to live comfortably based on the median income of $52,858. The Big Easy is anything but for its residents who are earning less — and there are likely plenty with a median income under $40,000 a year. It’s much worse if you’re renting, though, as median earners who don’t own are around $49,000 a year short of the income necessary to live comfortably. While New York has long been synonymous with sky-high cost of living, it’s actually well short of the priciest city in this study. That fact, though, won’t offer much solace to residents struggling to make ends meet. If you want to live comfortably in the Big Apple, you’ll need to earn at least $128,552 a year — and nearly $150,000 if you’re looking to own where you live. The first of three cities in the San Francisco Bay Area, Oakland is an extremely costly place to live. Despite a relatively strong median income of $63,251 a year, residents hoping to own their own home need to increase their income by more than $81,000 a year if they want to hit the 50/30/20 rule while paying average costs. Oklahoma City has relatively modest costs compared to most major cities. Pair that with a median income over $51,000 a year and the gap to a comfortable income if you own your home is just over $16,000 a year, one of the lowest levels in the study. It’s still relatively low for renters at a little under $24,000 a year, but significantly higher than it is if you have a mortgage. Another city where homeowners are likely coming very close to earning what they would need, Omaha’s $53,789 median income is just about $18,000 a year short of what you would need to live comfortably while covering a mortgage. But, once again, this is a city where there’s a clear financial argument for buying over renting. Living so close to Disney World must be appealing, but with a cost of living that’s relatively high, it might be out of reach for many. Once you factor in the median income, the median homeowner in Orlando is a whopping $40,000 a year short of what they need to live comfortably. Brotherly love might not cost a thing, but living in Philadelphia sure does. Despite a median income just over $40,000 a year, the salary necessary to live comfortably while satisfying the 50/30/20 rule is over double what the typical homeowner is actually earning and leaves renters around $52,000 shy of what they need. The nation’s fifth-most populous city has a median income a little over $52,000 a year. That’s a decent wage compared to many of the cities in this study, but it’s also about $34,000 short of what you need to live comfortably for both renters and buyers. While a median income of around $61,000 a year is relatively rare among the country’s biggest cities — there are just 12 cities in this study at that level or higher — Portland’s high cost of living might mean it won’t go nearly as far. If you are dead set on moving to Portland, though, it could pay to rent instead of buying as the income needed to live comfortably is about $9,000 a year higher for homeowners. Raleigh comes very close to having its income needed to live comfortably falling within $21,000 of its median income for both renters and buyers. Not only is the median resident making more than $60,000 a year, but its cost of living is well below the average for these 50 cities. California’s capital city is northeast of San Francisco, Oakland and the rest of the high-cost Bay Area. However, it does seem as though some of the costs have migrated there, as you’ll need to make over $90,000 a year to live comfortably. San Antonio is a relatively affordable place to live, with the income needed to live comfortably while paying a mortgage at just over $70,000 a year. Unfortunately, that’s still quite a bit more than most residents are making with a median income just under $50,000. San Diego might be a great place to take in the Southern California sun, but you’re likely to pay dearly for the privilege. You’ll need to earn six figures to live comfortably in the city. But, keep in mind that it’s much cheaper to rent — with a comfortable income coming in around $17,000 lower for renters than homeowners. San Francisco is the most affluent city in this study, with a median income of almost six figures. Despite that, median earners there who own their own home are further from the income necessary to live comfortably than residents of any other city on this list. Even a six-figure income is less than half what you need to own your home and still spend just half your income on necessities in The City. Of course, right next door in San Jose, incomes are even higher. Yet, the median income remains over $100,000 short of what you need to live comfortably while owning your own home, but it’s over $30,000 closer than it is in nearby San Francisco. Median earners in Seattle are pulling down just under $80,000 a year, but that doesn’t go nearly as far as they might like. Once again, anyone planning to move there should seriously consider renting instead of buying: The income needed to live comfortably is about $30,000 lower if you don’t have a mortgage. The income needed to live comfortably in Tucson is in the low-$70,000s for renters and owners alike, which is on the lower end for the cities in this study. Unfortunately, given that Tucson is among those cities where the median income doesn’t crack $40,000 a year, both those levels are over $33,000 more than what the typical resident is making. Tulsa’s one of the more affordable cities in this study, with the income needed to live comfortably coming in under $70,000 for both homeowners and renters. And while the median income of $44,577 is relatively low, it’s still within about $21,100 of what you need to cover a mortgage and other basic necessities with half your salary. No city in this study is closer to having its median income meet the salary necessary to live comfortably than Virginia Beach, though that has more to do with the over $70,000 a year earned by the median resident. Renters are just under $17,000 shy of what they need while homeowners are within $12,700. The nation’s capital has one of the highest median incomes of a major American city, but it also has some of the highest costs. The income needed to live comfortably there while owning your home is just under $65,000 more than what the average resident earns. Is Your Cost of Living Too High? The results of this study should make it clear that — based on median costs and the 50/30/20 rule — many of America’s city-dwellers are most likely coming up well short of what they need to cover expenses. That has to mean that many urbanites are having to find other ways to make ends meet and stretch their budget as far as possible. However, there are at least a few cities that would appear to offer a chance to get by on less. The city with the smallest gap between its median earnings and cost of living — Virginia Beach — gets there largely by having a very affluent populace that drives the median income up over $70,000. Four cities, though, have a median income of about $50,000 a year and still fall within $20,000 of the income needed to get by for homeowners: Oklahoma City, Kansas City, Omaha and Columbus. So, if you’re looking for city life that’s still affordable for the middle class, your best bet appears to be on the high plains. Click through to read more about where the cost of living is going up and down. GOBankingRates found the cost of living in America’s 50 biggest cities by analyzing the following factors: (1) Cost of living index for groceries, utilities, transportation and healthcare sourced from Sperling’s Best Places. Each index was multiplied by the annual expenditure amount in each category from Bureau of Labor Statistics’ 2017 Consumer Expenditure Survey, which measures household annual mean expenditures to determine the annual mean spending for each category; (2) Rent costs were sourced from Zillow’s February 2019 rental value index for single-family residences, and were multiplied by 12 to obtain an annualized yearly spending on rent; (3) Mortgage rates were based off Zillow’s February 2019’s median home value, and Zillow’s mortgage Calculator was used to determine the monthly mortgage payment for each given city based off the cities home value and a 30-year fixed loan. Mortgage payments were multiplied by 12 to obtain an annualized amount; (4) Median household income was sourced from Census Bureau’s 2017 American Community Survey (this is income prior to being taxed). Once all the data was found, the annual expenditure amount was calculated by adding together the annual spending for each category. GOBankingRates found the annual expenditures for both people paying a mortgage payment and for people who are paying rent separately and the median income is subtracted by annual expenditures for those paying a mortgage and those renting to see how much money is needed or left over for each city. GOBankingRates then used the 50/20/30 rule which assumes that 50% of income should go towards necessities, 30% should go towards discretionary spending and 20% should go towards savings. The 50% income is the cities annual expenditure and that amount is used to find the additional income needed for splurges and savings. Find out how far your paycheck goes in each state.